Learn to identify note names! Learning an instrument is only one part in developing as a musician. Knowing how to read music is its own skill. Whether you want to perform the classics, play in a rock band, create your own melodies, or understand what makes your favorite songs special, learning music theory is an essential step. Practice to perfection with Presto! Presto has detailed self-study courses that lead you step-by-step through learning music theory. More courses are added regularly! Tutorials provide you with key concepts you can use to begin your music theory practice immediately. Over 100 quizzes allow you to see what you have learned. 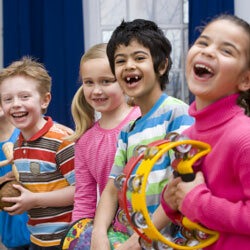 Presto courses and exercises are fun for both young and young at heart music lovers. You don't need to play an instrument to understand music.